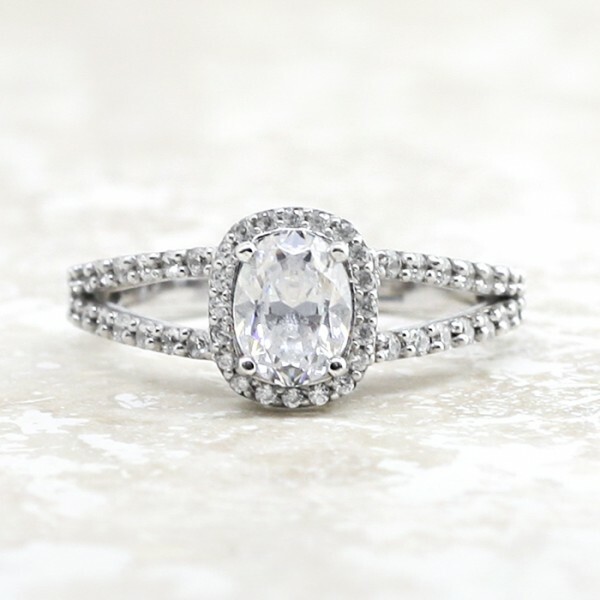 Bella Vista with 0.98 carat Oval Center - Palladium - Ring Size 4.0 was added to your cart. For the sophisticated diva with an eye for old-fashioned romance, this low cost halo engagement ring is about to become your new best friend. It features a micro-set split band and a halo surround a stunning 0.98 carat Oval cut Contemporary Nexus Diamondcenter stone.